Weight loss and meal replacement have never been easier with our healthy all natural products. Unlike other meal replacement products our ingredients are derived from raw and natural ingredients. Claims such as ‘sugar free, low fat, and low carb’ generally mean that synthetic ingredients have been used. 180 Natural Protein Superfood will help you find and maintain your healthy weight while also providing a quality source of protein, nutrients and minerals that are essential for a healthy metabolism. Steven Heymsfield, M.D., of St. Luke’s-Roosevelt Hospital, analyzed a half-dozen small studies comparing diet meal replacements with conventional low-calorie diets. He found that people who guzzle the shakes in place of one or two meals a day consistently lose 7 percent to 8 percent of their body weight after 1 year. That’s about 15 pounds for a 200-pound man, which, he notes, is roughly the same reduction you might achieve by taking a weight-loss drug such as Xenical–minus the risk of a drug’s side effects. Meanwhile, Dr. Heymsfield showed that people who simply try to eat less food maintain a weight loss closer to 3 percent. How Does 180 Differ From Other Weight Loss Shakes? 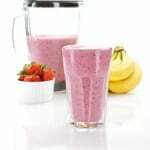 Many weight loss meal replacements and shakes are over hyped, over priced and over marketed.